Server push: Server will pro-actively sent components to clients, So clients doesn’t need to wait for sending requests to server. Multiplexing: Reducing number of active connection by bundling multiple HTTP requests from client and sent to server. Encryption: efficiently use to encryption with TLS protocol in HTTP/2 over HTTP/1.1. HTTP header compression: Compressed headers will reduce the overhead of additional requests to web server. This article will help you to enable HTTP/2.0 in NGINX web server on CentOS / Red Hat/ Debian and Ubuntu systems. HTTP/2 protocol supported over nginx version >=1.9.5. So make sure that your nginx version is supporting HTTP/2 protocol or not. If you have not installed Nginx or older version use one of following method to install or upgrade it based on your operating system. First create a yum repository configuration file /etc/yum.repos.d/nginx.repo and add the following content in that file. and use the following command to install it. Use the following commands to add PPA for installing latest Nginx version on your Ubuntu system. This PPA has nginx version which supports HTTP/2 protocol. and use the following commands to install it. Use the following commands to add PPA for installing latest Nginx version on your Debian system. This PPA has nginx version which supports HTTP/2 protocol. After successful installation of Nginx version on your system, make sure you have Nginx >= 1.9.5. Earlier version does not supports HTTP/2 protocol. 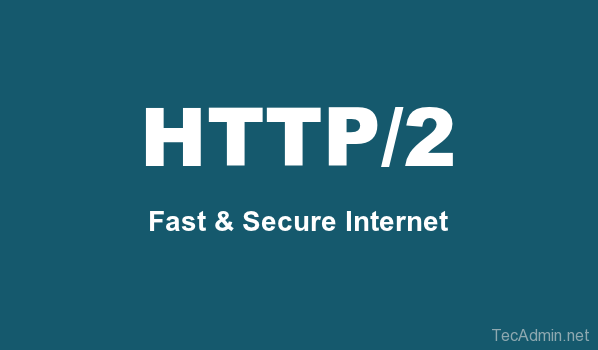 HTTP/2 protocol requires SSL/TLS virtual hosts. You can’t use HTTP/2 protocol without SSL/TLS enabled websites. Now edit your website VirtualHost and add http2 keyword in listen section. Use following online tool for testing HTTP/2 support on your website.